Finished in Silver with Royal Blue interior. This limited edition model marked the 70th anniversary of Jack Barclay Limited and only ten were ever built. 51,000 miles. 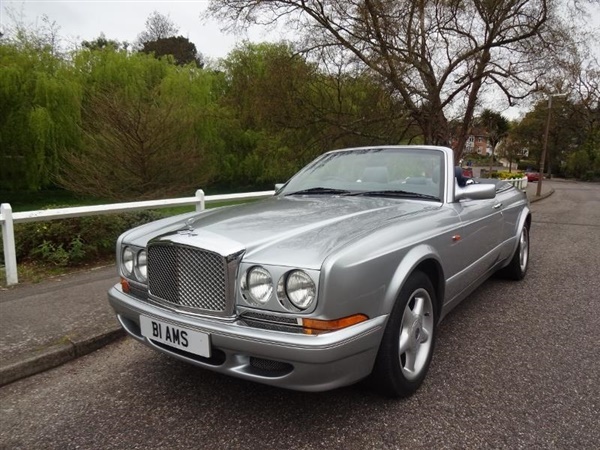 Extra flared wheel arches, Restyled front bumper, Burr walnut front door panels, Sports steering wheel, Turbo boost gauge, Rear parking sensors, Flying B mascot, 18 five spoke alloy wheels, DVD screen fitted into headrests, Full service history. A unique and rare collectors piece in superb condition.